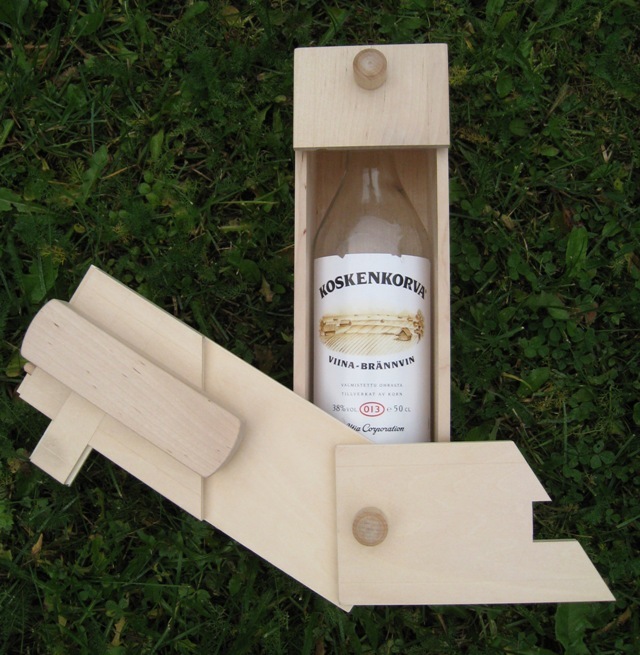 A difficult puzzle, where the vodka bottle is locked into the box. Bottle not included. Double gravity pin lock with 5 moves. Max. bottle size 225x70mm.